Obakeng Creche, situated in the small rural village of Obakeng, supports approximately 35 children, giving them access to early childhood development along with nutritional support and development. 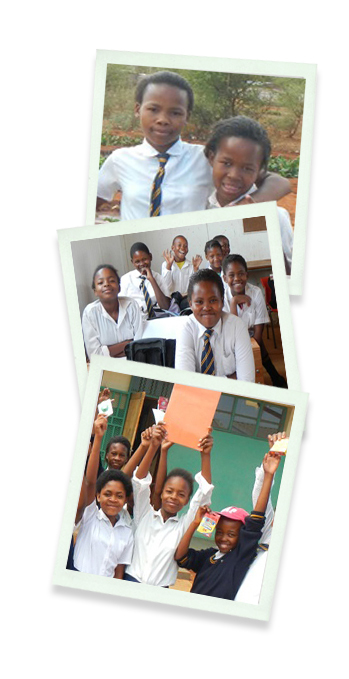 The Motshabaesi Primary School serves 234 children from ages 6 through 14 years old in the Obakeng Village. Most of these children come from very poor families, and do not stay with parents but with guardians (grandparents, aunts and uncles or members of the community). Many of these parents/ guardians are unemployed. Motshabaesi Primary consists of four classrooms and a couple of temporary container classrooms that host between 30 and 50 learners each. There is no administrative equipment (which they are in desperate need of), or library.